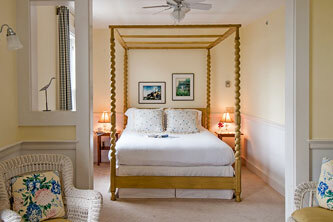 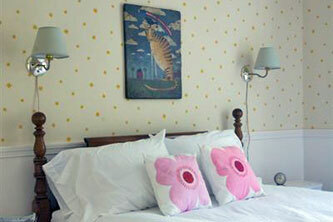 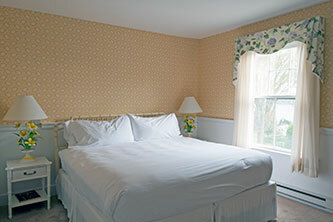 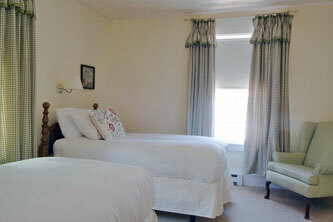 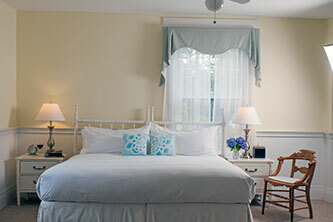 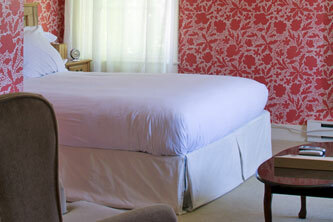 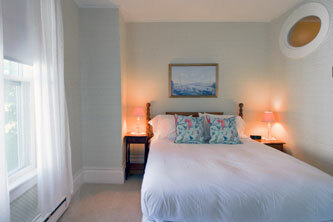 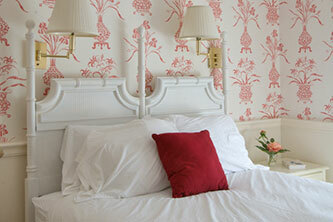 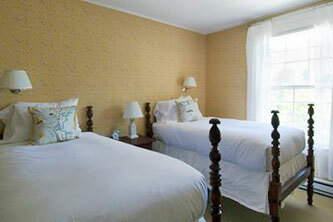 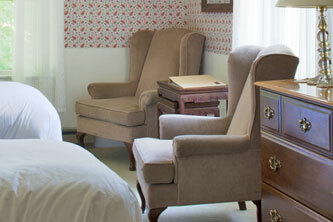 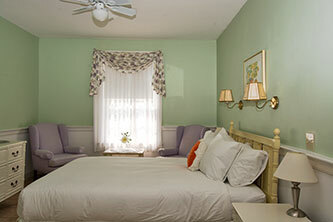 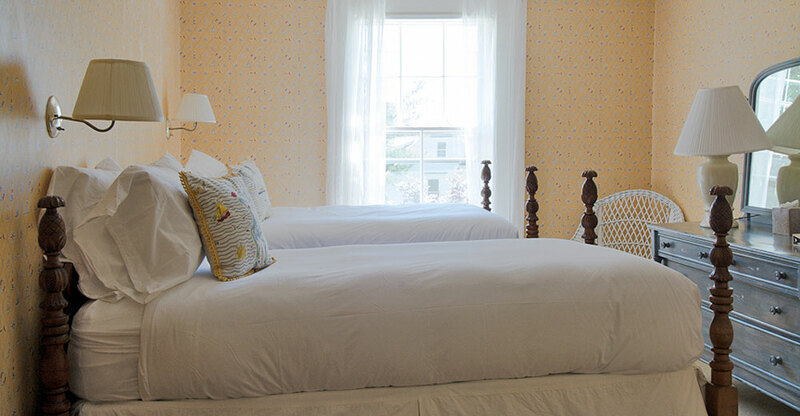 This twin room features high, antique cannonball beds made up with Italian linens and a cozy duvet. 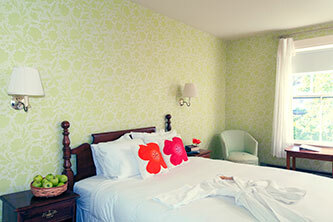 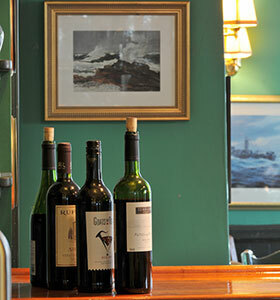 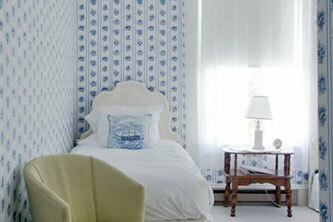 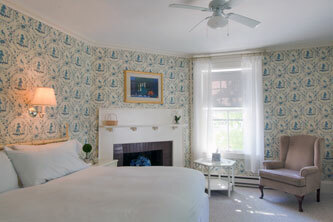 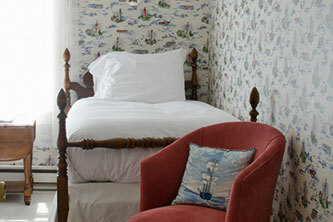 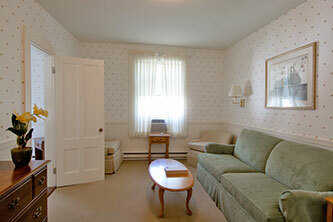 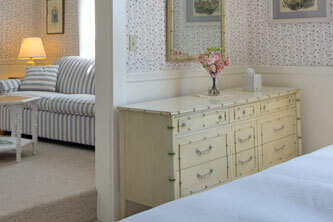 The fun, nautical wallpaper enhances the experience of being in a Penobscot Bay seaside village. 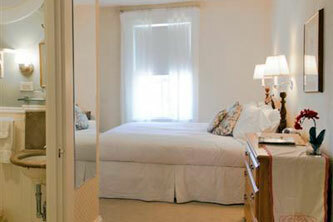 Private bath with stall shower located down the hall.